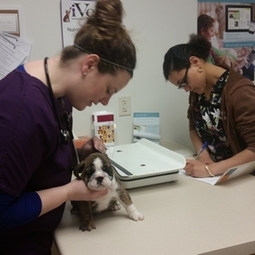 Preventative Care - BROWN ANIMAL HOSPITAL, P.C. Preventing diseases and future problems is much easier than curing disease. The old addage is true, "An ounce of prevention is worth a pound of cure." With proper vaccinations, spaying, neutering, parasite prevention, and dental care, we can eliminate diseases that can end pets' lives much too early. Coupled with daily exercise and quality diets, we can prolong the lives of pets as never before.